Orchestra Superstring is an exciting contemporary group that plays instrumental jazz music inspired by Afro-Cuban, Latin, and other modern musical influences. 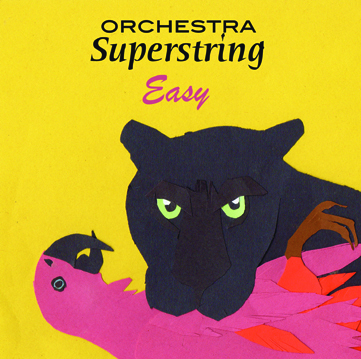 Composed of an eclectic band of well known Los Angeles musicians (including DJ Bonebrake of X), Orchestra Superstring blends infectious beats and fresh dance rhythms in original tunes written by its members and creates new interpretations of jazz standards. "Easy" is their second album for Dionysus.